Best Electric Fireplaces | Modern Electric Fireplaces are available at locally owned and operated Bare's Stove and Spa. 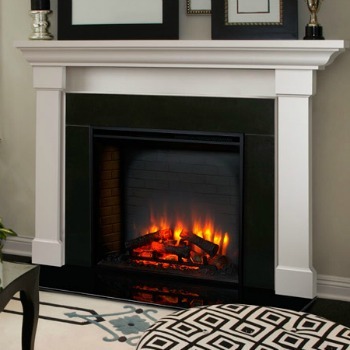 This E fireplace are attractive, easy to install and come with a variety of options! Electric products easily add firelight ambiance without the hassle of wood or gas fuel! Visit or call Bare's now for pricing! Bare's Stove and Spa has been committed to delivering outstanding customer service and products for years. Located in Bozeman, Montana. Bare's is open Monday through Saturday for your convenience. This showrooms is staffed with an incredibly well trained team that is ready to assist you with everything from estimates to installation. Please browse the products below to explore electric fireplace items in further detail. You have ambiance and warmth in nearly any space with these Majestic electric fireplaces. Enjoy a beautiful fire display, without the mess that other hearth products may have. Tailor your fireplace to your unique style and taste. Explore a variety of options to compliment your home's design. Majestic also offers a contemporary linear electric fireplace option for a sleek modern design.